Brittany, at the other end of the spectrum of life, was only 29. Most of us have no idea how long we’ll live. Brittany did know. Earlier this year Brittany’s doctors told her she had about six months to live. And, they said, she would endure those six months in increasingly intense pain and debilitating suffering. There was no known medication or other cure that could help her, they said. She recently told CBS her life had become unbearable. She suffered from seizures and “bone-splitting” pain. She had “moments when I’m looking at my husband’s face and I can’t think of his name.” Her life was hell on earth. Brittany decided to start checking things off her “bucket list”—things she wanted to do before she died. Like visiting Grand Canyon. And other things she wanted to do with her loved ones before it was too late. She did them all, finding joy and fun as she moved into the sunset of her life. It’s not the number of years we live that counts. It’s the joy we find in each day, in our loved ones in each moment. That’s all that matters. Before she could legally die by her own hand (with the help of her doctor) she had to move herself and her family to Oregon where physician-assisted suicide is legal. Then last week, with her loved ones around her in her bedroom, she took that final step. With dignity and without pain. Her suffering was done. Did she do the “right” thing. It was certainly right for her. I admit I have strong personal feelings and convictions about all this. I believe we all should be able to die with dignity and without pain. Finally, here are some thoughts from my spirit guides, who often talk about death. The list is in no particular order. Ultimately you are the only one who brings death to yourself. No one else has that power over you. You can die peacefully in your bed, in a state of perfect health. You all have the ability to do that. Or, as with Brittany Maynard, you can choose to end your pain permanently. You often say, when people are suffering from a physical dis-ease, and are in great pain, their death is “a blessing.” It certainly is that. But every other death, even those you consider tragic or untimely, is also a blessing. You all die in the perfect way and perfect time—and by your own choice, at some level of your awareness. Dying is the easiest thing you will ever do. You’ve died hundreds, thousands of times before. When your physical life becomes anything less than joyful, when you are wracked with pain, physical or emotional, death can be a healing. Ideally, you will get to the point in your physical life where you are satisfied, where there’s nothing left you want to do. You’ve done it all and now it’s time to move on to your adventure. It’s all up to you. There is no right or wrong here. Live each day, each moment with joy, love, and peace. You have the power to do that, regardless of your circumstances. In this video Brittany movingly discusses her decision to take her own life before the cancer could. She says the most important thing for any of us, no matter how much or little time we have left to live, is to enjoy each day, to be in the present moment. Which is all any of us have anyway. What would you have done if you were in Brittany’s place? Please share your thoughts and comments with us below. I think death is often harder for those left behind. especially suicide as that leaves so many unanswered questions and judgements. I remember when my husband passed away, desperately willing him to cling on. But he was ready to go. And he went peacefully albeit surrounded by machines. In my younger days I worked voluntarily in a children’s hospice. The children all had terminal illnesses. It was an inspiring and uplifting place to work despite the sadness. The children didn’t seem at all afraid of death. They lived life as fully as they were able whilst the staff and parents gave them the gifts of happiness, courage and laughter. I do agree with assisted suicide although I don’t like that terminology! Brittany was a very brave and inspiring lady and a great advocate. I agree with you — it’s hardest for those left behind in physical form. It’s easy for those passing over. I think it’s great that your husband went peacefully. My wife also worked with dying people many years ago. She found it, as you did, inspiring and uplifting. I too agree with assisted suicide. Or even “doing it yourself” if you don’t leave a mess behind for your loved ones to clean up. They’re going to have a hard enough time as it is when you depart. There is no judgement from SPIRIT – that is a misguided, shortsighted human concept, foisted on us, probably by the church.SPIRIT, GOD, HEAVEN, SOURCE OF ALL THAT IS IS PURE UNCONDITIONAL LOVE ALL THE TIME, NO EXCEPTIONS! The way I see it is, we have free will herre to choose. We DO come in with contracts. Whatever is not fulfilled in this lifetime we will simply resume in our next incarnation, picking up where we left off. No rush. We have an eternity to get it all done. 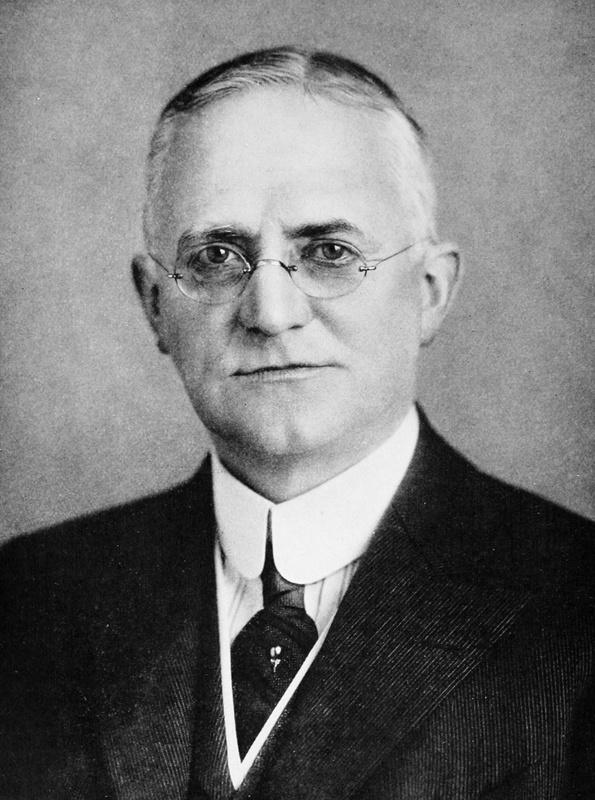 George Eastman seemed to know he was complete. Of course some of us take on an AWFUL LOT (!) and try to hang in to get it all done so we can actually ENJOY ourselves more the next time around. If we choose to come back here, that is! There are lots of other fun places to visit 😉 I know, because I’ve been there! As I expect have many of us! I think George Eastman was a very wise man. As you say, there are many other fun places to visit. Years ago I did volunteer work at a facility — they called it a “haven,” not “hospice,” for seriously ill and dying people. I just maintained their records, and did not work directly with the patients. But I saw up close exactly what you said — there was a lot of love and laughter amid the pain and suffering. I have nothing but the greatest respect and love for those folks — the patients and the volunteers. I agree — the hardest thing is saying goodbye. But I find a lot of comfort in the values and beliefs you and I hold, knowing we’ll all meet again. Thanks for posting, John. In our country it is, under certain conditions, possible to euthanize oneself, or someone who finds him or herself in their final state of life. It is done with the help of a doctor and after strong scrutinizing of the situation by a team of doctors and psychologists. It has happened to someone in our near vicinity and I can tell you it has been a great blessing for the person in question. Sometimes this process is looked at negatively by certain circles, who state that we are either assassinating ourselves or someone else. But that is always, in my opinion, said by someone who does not have the opportunity to look at the situation with an open mind and without empathy. Ultimately it sure is like you say. We have all, although that certainly is not a mainstream notion, the possibility to come home of to stay on earth. I myself was given that choice when I found myself in a life ‘threatening’ situation, just about 12 years ago. Back then I chose to stay, but I am certain that if I had chosen the other option, ‘they’ would have welcomed me openhanded- and heartedly. You’re most welcome, Hans. And thank you for all your contributions to our blog. Your country takes a much more compassionate view of suffering and death than my country does. I agree with you — no matter how we die, we are always welcomed home by our loved ones beyond the veil. I saw the article last night. It’s a touching, beautiful story. I recommend anyone reading this get the article, particularly if you’re an animal lover. I see Brittany as a Wayshower. By inviting the collective into her experience, to include millions of people, she has set in motion not only a healthy dialogue about life and death, but also a new wave of empowered choice around the dying process. Her heart and her courage really touched people and I believe is helping to shift the fear which has held so many in its own death grip. I feel a sense of peace and calm when I think of her and don’t feel sad at all. “As above, so below” can definitely be applied in her case. This is a wise soul who came to teach that we are in charge of how we live and how we die. I am sure she received a thunderous welcome when she returned Home! Thank you very much again, Martha. Brittany certainly is a powerful wayshower, and an inspiration to us all. I love the way she’s so quickly and beautifully raised awareness about this whole issue of dying (and living) with dignity. Thank you, John, for sharing this. It’s something we all must do one day — die — and one that I hope we can all embrace like Brittany with love and dignity. You’re welcome, Pat. Brittany is certainly a powerful role model and inspiration for all of us. Yes, that she is, John, and courageous. Thank you. Life is an experience not just in the physical but in our mental, psychic and spiritual Being. We choose to come into it and we choose the method we leave it. We fear death because we are unsure what happens to us. Yet the one simple belief that we are alive and dead right now might just give us pause enough to understand that we are neither and both. We exist within our mind, what’s inside is what is outside in the physical world. When we are fearful, we are giving ourselves a blessing, that blessing is we look within for an answer and the answer we find sets us free. When I decide to go, it will be in joy, in peace and knowing I’m not going anywhere just into more of my self. In love, in joy, in peace and gratitude we came into Being and we are always alive and death is door, a transitional point from the physical to the spiritual, to the a adventure of a different kind of awareness. We can become aware of that other awareness now by allow our ego to accept information from the depth of our psyche. Be at peace and know you are loved, that joy is a thought away and peace resides in our hearts. What a loving, caring and courageous being she was and continues to be. I would add, dear sir, “as are you.” Bon voyage, Brittany! Bon voyage to all of us. Thanks so much Pat! You’re very kind. Indeed, bon voyage to us all! I agree, George. I love Final Exit. Even though Derek Humphry wrote the book many years ago, its wisdom is timeless.